This post is sponsored by Specsavers. My 8 year old daughter is beyond excited about the NEW Despicable Me movie coming out this month! Ever since we watched the first Minions movie, the mischievous characters have held a special spot in her imagination and in our home – we have stuffed toy Minions, a Minions fart gun and Minions mini figures. Master 5 is also a Minions fan, who wouldn’t love these cheeky and FUN characters?! I was thrilled to learn that have a NEW Minions range of children’s glasses available. Miss 8 wears glasses already but we’re yet to have my son’s eyes checked. He just started school this year and now is a great time to book him in for an eye test. I love that the new Minions range is so affordable, with prices starting at $199 for two pairs, I know I can afford both kids to have two pairs each, one pair for home and one pair for school. This eliminates the stress when the kids forget to pack their glasses each morning or forget to bring them home. Do you know the team at Specsavers recommend all kids (and adults) have their eyesight checked at least once, every two years and especially before they turn 8? 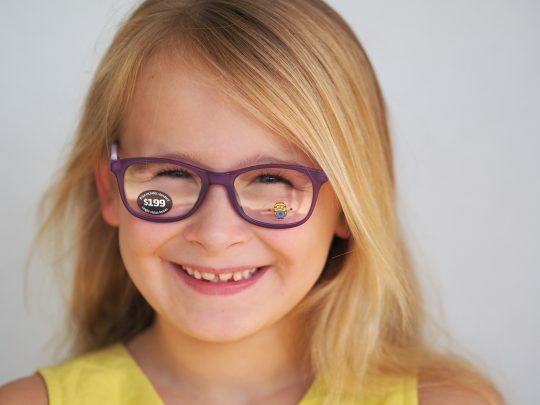 Even if your child does not require glasses, a regular eye test could help to prevent some longer term issues, such as a squint or lazy eye, especially if detected before 8 years of age. After booking an appointment with Master 5, the optometrist informed us that he didn’t need glasses. We’ve set a date to return when he’s 7 (unless we are at any time concerned with his vision or eye health before then). You can easily book an appointment online for your own children, or head in to your nearest Specsavers store. 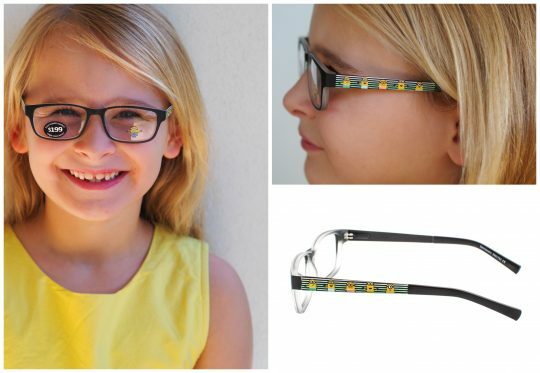 Here are a few photos of Miss 8 modelling a couple of pairs of glasses from the new Minions range exclusive to Specsavers. This bold, black frame features an expressive crowd of Minions along the length of each side. The eye-catching yellow and white design conveys the mischievous personality of these rebellious characters. 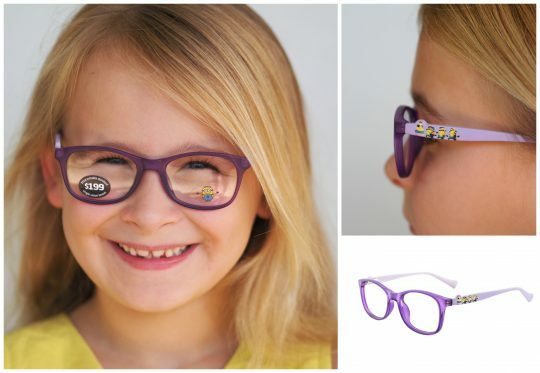 This frame features a striking violet, plastic front in a softly round shape. The lilac temples carry a fun design of Minions caught causing mischief and running away. 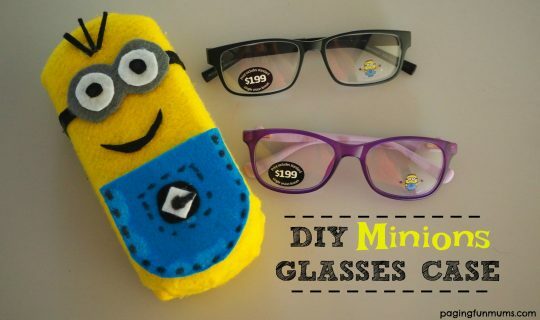 To celebrate the release of the new Minions glasses we decided to design a FUN Minions case for them to live in, you can find all the instructions for that below as well as a bunch of other Minions themed crafts to do with your kids! You can watch the video tutorial on how we made it here. 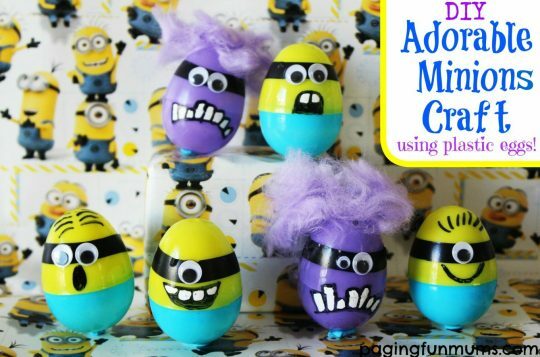 You might also enjoy these FUN Minions craft ideas. These are super simple to make! 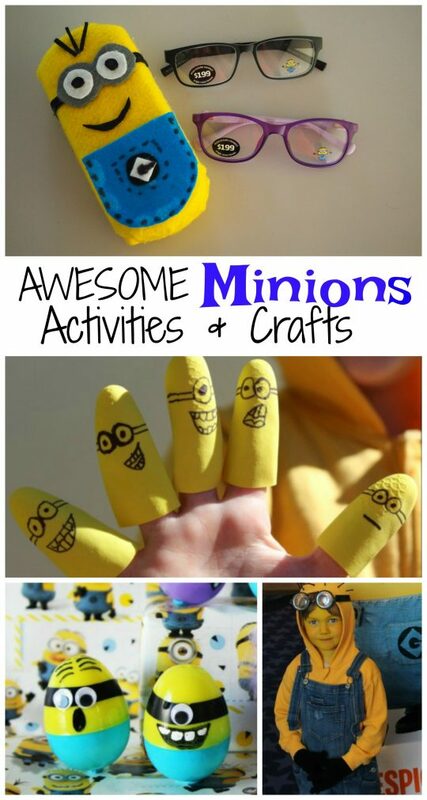 Simply draw some Minions faces on the finger tips of a rubber glove and cut the fingers off. So much fun for bath time play. This is an egg-cellent way to re-use those plastic Easter eggs we all have hidden in our craft draws. Simply use some permanent markers, googly eyes and tape to make them. You might choose to add some rice to turn them into shakers. 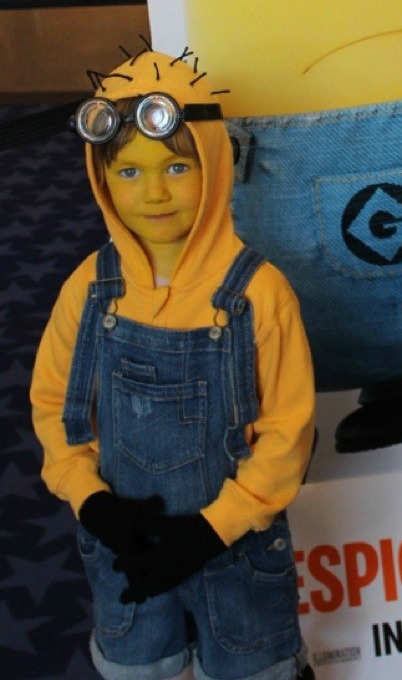 This Minions costume is super easy to make for your little Minions fan. We used a yellow hoodie, some denim overalls, black boots, black gloves, goggles, yellow face paint, black wool and a glue gun to glue the ‘hair’ to the top of the hoodie. Hello Halloween or dress-up party FUN! 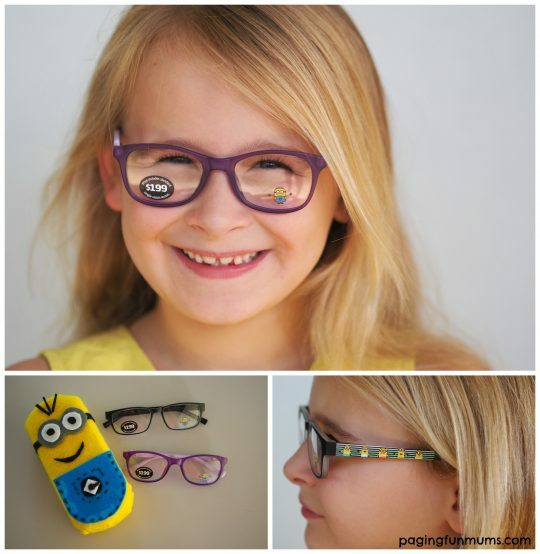 We hope you enjoy these ideas and be sure to head to Specsavers to check out their FUN Minions glasses range and you can book an eye test online here too.